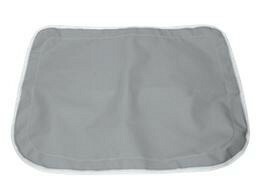 Our canvas hatch cover is made of high-strength, highly water-repellant Top Gun fabric. Hook-and-loop closure. Roll of adhesive backing to attach fabric to hatch included. Grey.